The original rumours about the sinking of the Sydney developed because of a strict censorship in wartime. Do you think such censorship is justified? Develop arguments for and against. 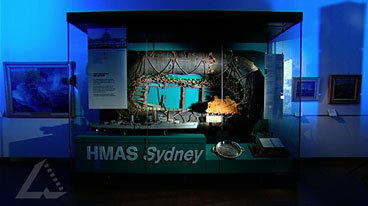 The Sydney is Australia’s greatest ever loss of life in a sea action. Is it remembered today? Design and carry out a survey to see how much people know about it. Should they know more? Does knowledge depend on the age of the person being surveyed? Explain your views. There were many significant events, people and issues that affected civilians in Australia during World War II. Brainstorm as a class to list significant issues. This list may need to be supplemented by some basic research. Create a list of the main ones. Which do you think would be the one or ones that had most impact on people at the time? Survey people who were at least 10 at the start of the war. Collate the class results, and compare the results to your hypotheses. Suggest reasons to explain the results.